No one likes to suffer. When an illness or trial arises, we naturally seek answers and, if at all possible, a quick resolution. At times, we are so desperate for an escape that we willingly accept a “quick-fix” in order to relieve the pain, despite the fact that we may be ignoring underlying issues and potentially causing more problems in the future. However, most often, the answers we desire will not be found quickly, or even at all. This can leave us confused, frustrated, and even angry at God for allowing such pain into our lives when He is able to bring healing and relief in an instant. Trials and illness are never what we hope for, desire, or easily embrace, but they are a reality that no one can avoid for long. While we should not seek suffering (believing we are more righteous because we have suffered), neither should we ignore it or think we can muscle through it in our own strength. Could it be that the suffering we experience, which we often try to avoid at all cost are, in fact, disguised graces of a loving Savior? As I have recently been reading through the Gospel of Mark, I have noticed how many people flocked to Jesus in search of physical healing. Some came in faith, but many came solely in search of relief. Whether they were aware of their spiritual depravity or not, their desire for physical healing still drove them to Christ. All of us experience the woes of a failing body and pain that enters our lives through various trials. Although suffering may have different purposes and effects in a non-believer’s life than it does in a believer’s, it is all allowed by our loving Lord and Savior Jesus Christ for the sake of the healing of our souls. I’ve found it helpful to reflect on specific ways that physical suffering can be an instrument of God’s grace to both believers and nonbelievers. Can awaken sinners to their frailty and lack of control in life, spurring them to seek the One who holds all things under His control. Can strip away false comforts and spirit of self-sufficiency, revealing an emptiness, a desire for something lasting, and a purpose for their pain. Can be God’s loving but just consequences to sin, in hopes that some may repent and be saved. Can cause them to face the question of their eternity. A search for physical healing can become an avenue that reveals a person’s deeper need for a Savior. “But when he (Jesus) heard it, he said, “Those who are well have no need of a physician, but those who are sick. Go and learn what this means, ‘I desire mercy, and not sacrifice.’ For I came not to call the righteous, but sinners” (Matthew 9:12-13). Suffering in an unbeliever’s life is an expression of God’s grace to draw them toward Himself while he may be found, and give a foretaste of what is to come for all those whose hearts are hardened toward Him. It is both a warning and an act of love, all under God’s sovereign control. Loosens our grip on earthly comforts and self-serving motivations, teaching us to count all as loss for the sake of knowing Christ Jesus our Lord (Philippians 3:8-10, Romans 12:2). Works out our salvation through Christ through daily obedience, intimacy, and dependence on Him (Hebrews 5:8, Ephesians 3:14-19). Can demonstrate God’s glory to the lost world by displaying the power, worth, and treasure of the Gospel, especially in circumstances that seem impossible to withstand in the eyes of others (Philippians 1:12-18). Teaches us to rejoice as we share in Christ’s sufferings, that we may also rejoice and be glad when his glory is revealed (1 Peter 4:13). Any form of physical suffering, although often seeming inconvenient, harmful, or even life-threatening, is God’s disguised grace in a believer’s life as well. Christ purposes to take that which would be destructive and use it to change our earthly vision into an eternal one, transform our hearts and minds into his likeness, and overwhelm us with his provision, grace, power, and presence. In fact, the painful experiences that we often attempt to avoid can contain some of the most valuable and eternal treasures. Because we are prone to believing that healing is not only what we want but what God wants for us, we often miss the truth that, although God could heal our bodies in an instant, our salvation and sanctification are of much greater worth to him. In fact, it is of such great worth, that he endured undeserved physical torment and death for the purpose of our eternal healing. When a believer surrenders their plans, expectations, and physical body in the belief that knowing Christ is of far greater value than gaining the world, God is glorified and the Gospel is proclaimed. There is nothing in this world, aside from Christ, that can take a person’s pain, loss, illness, or dashed earthly hopes and, produce through it an eternal peace, joy, hope, contentment. While that alone should spur us on, the power of our sovereign Lord doesn’t even end at our own transformation. He takes everything that he allows in our lives and uses it exponentially in the lives of those around us, even those we may never know. Only the grace of a loving God can cause a suffering believer to say, “This pain is worth enduring for the sake of knowing Christ Jesus my Lord,” and then use that faith both to spur on the body of Christ and witness to those who are lost. Who am I to speak into this world of immense suffering? I am nobody of status, great knowledge, education, or impressive resume. I have not endured every kind of suffering, and I have so much yet to learn. But I have found a treasure. Like the man who found a treasure hidden in a field and sold all that he had in order to buy that field, I have found great treasures within the suffering that God has allowed in my life (Matthew 13:44). I want the suffering world (and those not yet experiencing the suffering that will come) to know that it is infinitely worth enduring in order to know the power, presence, and satisfaction of Christ. The wisdom of man cannot explain it and even my words fall short of what God’s glory deserves. Yet, I offer what I have discovered and learned for the encouragement and strengthening of my brothers and sisters in Christ through the power of the Holy Spirit. I am fully aware that many have experienced heartache beyond what I have known, but I am not ignorant to the heart wrenching ache of loss; the loss of hopes, dreams, expectations, physical strength and health, and earthly comforts. I have known the physical, emotional, and spiritual battle of a pain racked body and the wearing struggle to accept its presence in my life. I have known the pain of life not going the way I hoped or expected it would go. I have known the frequent disappointments and detours that we all experience and wrestle with on a daily basis. I have know the loss of material comfort and wealth, fighting to believe that the sacrifice would be eternally worth it. I have known the pain of watching my child be tormented by a destructive and perplexing neurological disorder, often tempting me to question and wrestle with why God has not brought answers. I have known the pain of watching the ripple effects of this illness affect my plans, family life, marriage, other relationships, reputation, and each of my other children. Like many of you, I have experienced pain in one form or another. However, because of it, I am learning endurance and contentment apart from a full bank account, possessions, status, good health, and comfort. I have found ever increasing blessings as Christ fills what has seemed like loss with more of him. Friends, it is worth it. I will not pretend that my response to pain is always a joyful acceptance. In fact, I am frequently reminded of my weakness apart from Christ in my faithless reactions of fear, anger, anxiety, complaining, doubt, and self-pity. 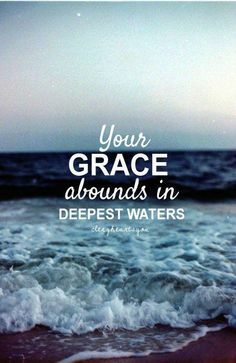 So I do not boast in my own strength of faith, but in Christ’s all-sufficient grace and blessing that He pours out as we learn to surrender all that we have and all that we are to Him. We each have a choice when suffering comes or our bodies fail us. We can fight against it with all that we have, refusing to accept what God has allowed, or we can bow our proud hearts in humble dependence on Christ and be overwhelmed by the goodness and grace that he will pour out on those who trust in him. I would like to share three simple prayers that I have learned to pray when trials come and I feel resistance building in my heart. Wherever you find yourself today; in the pangs of suffering or in a place of comfort, it is worth surrendering and enduring all for the treasures that are found in Christ alone. When I reflect on the past several years; every heartache, tear, pain, disappointment, and sacrifice has been worth it. I am able to say with confidence that I have far more than I ever had before. Though we may sacrifice much in this life for the sake of following Christ, God will not leave us wanting more. The joy, peace, contentment, and heart changing power of Jesus far outweighs any pain we may experience. Lay before him everything that grieves or burdens you, trusting him to fill you with more than you ever could have imagined. I pray that each one of us will come to see and know that Jesus Christ is worth giving everything that we have, compelling us to surrender all that we are, and helping us endure whatever He sovereignly ordains in our lives. He is infinitely and eternally worth it. “Jesus, although my flesh wants to fight what you are allowing, thank you that you love me enough to draw me to yourself in whatever means necessary.” This is my prayer for today. How timely this post is, Sarah! Thank you for ministering the gospel faithfully. He has given you a gift! Yours and mine both, my friend! Praise God that He knows just what we need. Thank you for your sweet words of encouragement. Sarah, you knocked this out of the park. It is FULL of insight and wisdom…so helpful! Thank you for allowing the Lord to work in your life and for sharing your heart! Wow Liz…I feel so undeserving of those words. Thank you!